The Lock House is a project taken on in 2014. An old lock house covered in overgrown ivy and hidden from view is cited along the Greenway path just a few hundred yards from the Old Cross Square entrance. We decided to uncover it and its garden with the ultimate aim of reconstructing the garden area and planting fruit trees and a Victorian style garden with mixed vegetables and flowers. The garden has been tidied up thanks to lots of work by community service under the stewardship of Gerry Murdock. Airtricity workers also put in a day of planting for CSR. Pathways have beenn put in and new apple trees from Irish Seed Savers have been planted. An old apple tree (an Irish Peach) has survived from the original garden. 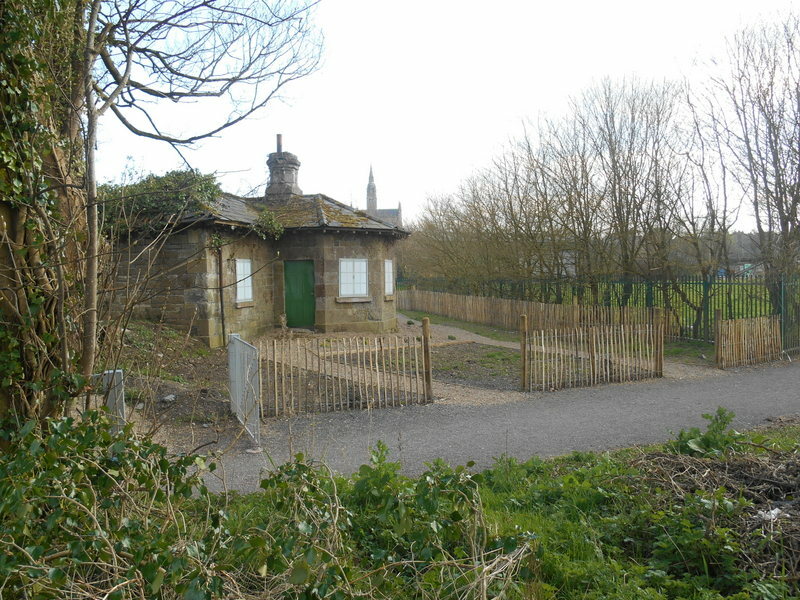 The lock house is a haven for bats and so it will remain closed up but we hope that its garden will be a great community resource when fully developed. Lock houses were homes to lock keepers when the canal was in operation. There are many of the same design all along the Ulster Canal. The lock keeper maintained the locks and assisted when barges (or "lighters" as they were called) needed to use the locks to continue on their travels.